New Build House, Wirral by Bromilow Architects starts construction | bromilow architects ltd.
Today was the first site visit to the new build house being erected for our client in Wirral. 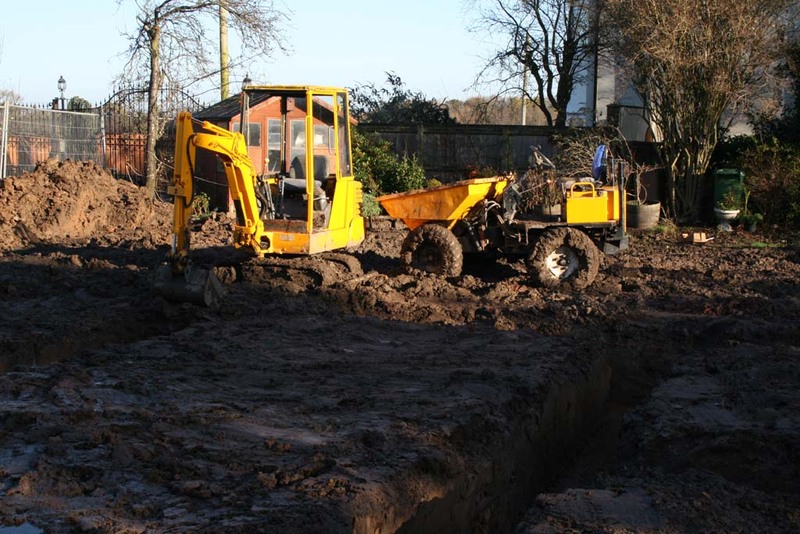 The existing bungalow was demolished a few weeks ago allowing the main contractor to start with a clean site. 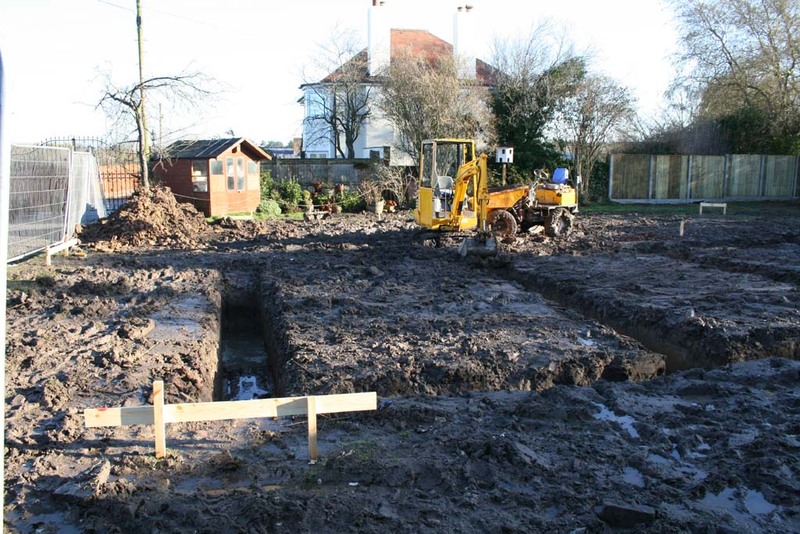 As yet there is not really that much to see but the foundations have been set out and and the excavation of the trenches has commenced. The wet weather this week has not helped but progress has been made and the trenches should be finished by the early part of next week. 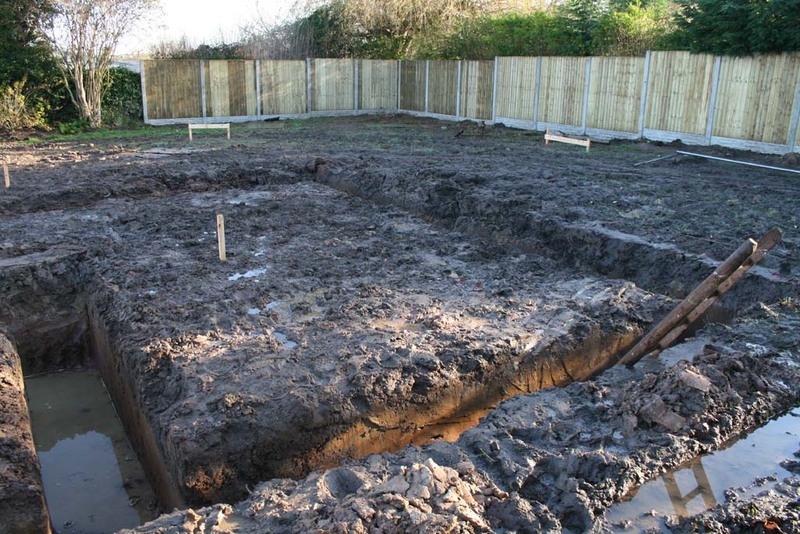 They will be then inspected by our appointed approved inspector before being infilled with concrete for the foundations.